We have a very nice Knee Mortar Display available. All original WWII, with a new display round and canvas carry case, with strap (not shown). BATF compliant as a non-firearm. Large hole on opposite side and welded bar inside of tube: $2k, plus shipping. Other pouch (shown) may be available, but not included. 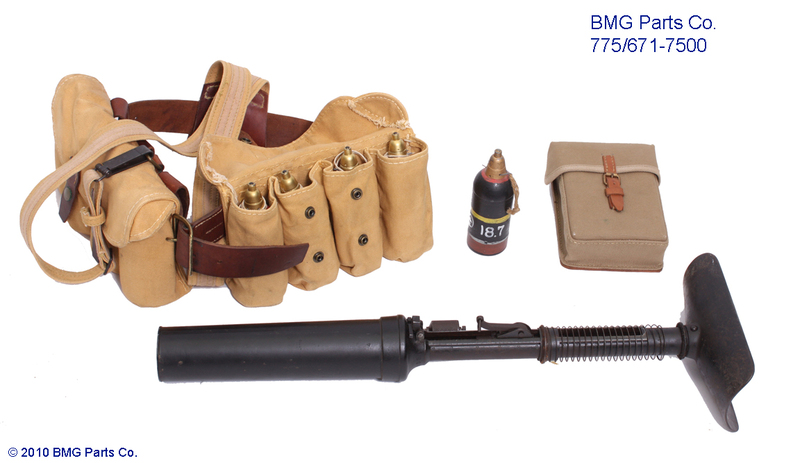 Pouch and Display ammo in pouch are not included. Tool Pouch shown is not included, but available.